When talking about life insurance it’s certainly not one-size fits all. Whoever said, ‘the more things change, the more they stay the same’, was dead wrong when it comes to life insurance. While protection against adversity is always wise, peoples’ needs change as they move through different ages and stages of life. You will be glad to know insurance is covered comprehensively in our Diploma of Financial Planning course if you choose to study with Monarch. We also have an RG146 specific Insurance course if that is the only area you want to provide advice within. Death – Pays a lump sum if someone dies or becomes terminally ill.
Life insurance is like a bell curve – people need a low level of cover when they are setting out in life, growing to a high level in their middle years when responsibilities and debts are at their peak and then possibly dropping back when they retire. The need for cover is ultimately about ensuring sufficient financial back-up should something go wrong. While superannuation offers most Australians some form of life insurance, it is generally a basic level of cover and may need topping up outside super. Each stage of life has its challenges for singles, newly married couples, families, empty nesters or retirees. Whenever a major event occurs in life, such as marriage or the birth of a child, consideration needs to be made about the right amount of cover required. Those starting out in life may not need life cover, but what would happen if they were injured in a car crash and couldn’t work for six months? What would happen when their sick leave ran out? How would they pay their rent, car loan, utility bills and basic living expenses? That’s when income protection insurance can be a lifeline. Couples naturally want to protect each other’s wellbeing. If something happened to either person it could put tremendous strains on the other person. This is even more likely when a home exists that’s saddled with a mortgage. Life insurance, income protection and trauma insurance can all help you protect peoples’ lifestyles. And both partners should seek cover because both are contributing. Once children come on the scene, the need for life insurance is even greater. If something were to happen to either partner, then the financial burden could be significant. Who would look after the children? Could they stay at the same schools? Could one partner pay the mortgage on one salary? Income protection, life insurance, trauma insurance and total and permanent disability should all be considered for families. 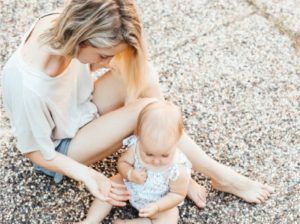 Once again, it’s important to make sure both partners are covered – even if one isn’t working, the costs associated with childcare and household tasks can be considerable. Just because the children have left home doesn’t mean empty nesters don’t still need access to money should something occur. Sure, they are probably at the peak of their earnings, but many empty nesters still have a mortgage. Even if they don’t, why put at risk all the wealth they have worked hard to build up for their retirement? Life insurance can help protect these assets. Once retired, peoples’ need for life insurance may diminish. At this stage of life, they will probably have paid off their mortgage and their children are likely to be independent. As a result, insurance cover might just be a means to leave inheritance to children or policy to provide for funeral arrangements. Life is forever changing, as are peoples’ insurance needs. It is not a one-size-fits-all scenario.